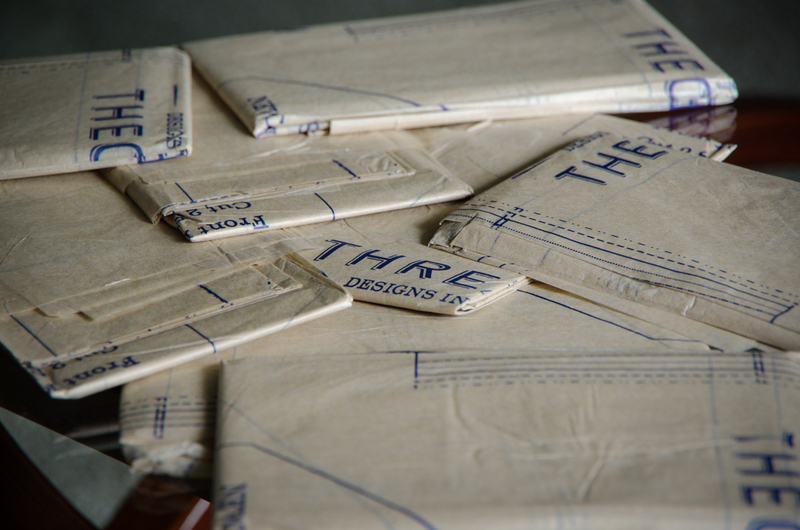 We ordered and promptly received 3000 tissue patterns which have been sitting patiently in their boxes ever since. We designed, ordered and received our chipboard business cards. 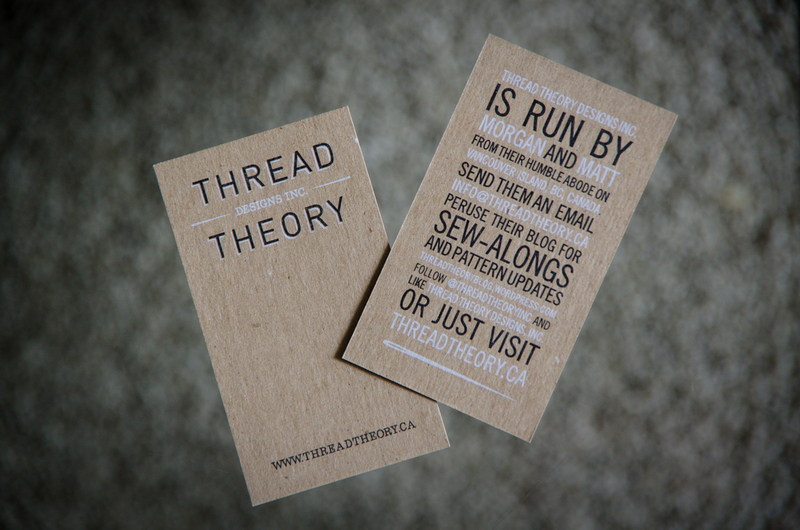 They are so perfect – whenever we need to be reminded of what and who Thread Theory is, all we need to do is open up the desk drawer and have a look at those beauties to be re-invigorated with inspiration! We ordered and received the tiny little embroidered tags that will be included in every single pattern envelope that we sell. I have been sewing them into every project I make and love how versatile they are. 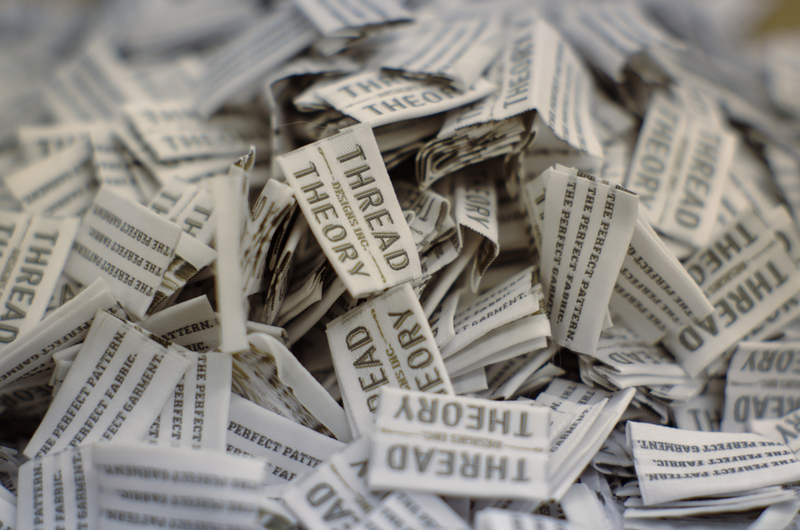 We hired an accountant and took several important steps towards making Thread Theory a successful and organized business. We spend time every day working with the accounting software we purchased (Sage – it is a wonderful program and we highly recommend it to anyone who is currently deciding which accounting software they should buy!). Matt has been really diligent in learning how to operate this software and, seeing as tomorrow is our first fiscal year end, we will be finding out very shortly whether our accountant holds the same opinion as me in that Matt is an excellent businessman! This step in our business has yet again illustrated clearly to me how glad I am that Matt and I are working on this project as partners. While he is lost when it comes to writing sewing instructions and a lot of the more creative aspects of Thread Theory, I must admit that I am even more lost when it comes to organizing Thread Theory finances. I’m glad that I’ve been able to pick up the daily accounting procedures quickly when Matt teaches them to me, but without Matt teaching them I am afraid that our business records would likely have become a messy shoe-box of receipts before the year end was over! With our steadily growing sales and people’s increased awareness about the existence of our company, this quarter can be easily summed up as three months of learning how to provide customer service. We seem to have even more emails and social media waiting for us every morning. It has been a very difficult lesson to learn how to prioritize aspects of our lives the last couple months. For instance, since we work from home, it is hard to stop ourselves responding to customer emails in the morning before we’ve even poured the coffee and at night just before we climb into bed. We often press pause mid-movie when we hear the chime of a new email coming in. Clearly, this approach is NOT sustainable and we are working really hard to put some lifestyle boundaries in place! Another business lesson we have learned this quarter is that EVERYTHING that involves more people than the two of us (think printing, envelope design, shipping etc.) will take longer than we expect. This has been an even more difficult lesson than the last point because it is so tempting to set goals and provide time frames for ourselves and for our customers. As we have learned lately, this estimating will only lead to broken promises and disappointment. We’re trying to learn this lesson as quickly as possible and, now that we are very close to completing the last couple steps of the printed pattern development process for the first time, we have been able to make a realistic timeline to operate under and will (hopefully) no longer be constantly underestimating everything. We will soon be selling paper patterns online and through retailers and the final portion of the packaging is being printed as we speak! In connection to this, we are still gathering stockists for our paper patterns and are extremely happy with the response we have received! For those of you who are inhibited by shipping prices when you try to purchase products from far across the world, not to worry, you will very likely have a brick and mortar store or at least a much closer online option from which you can purchase our patterns! 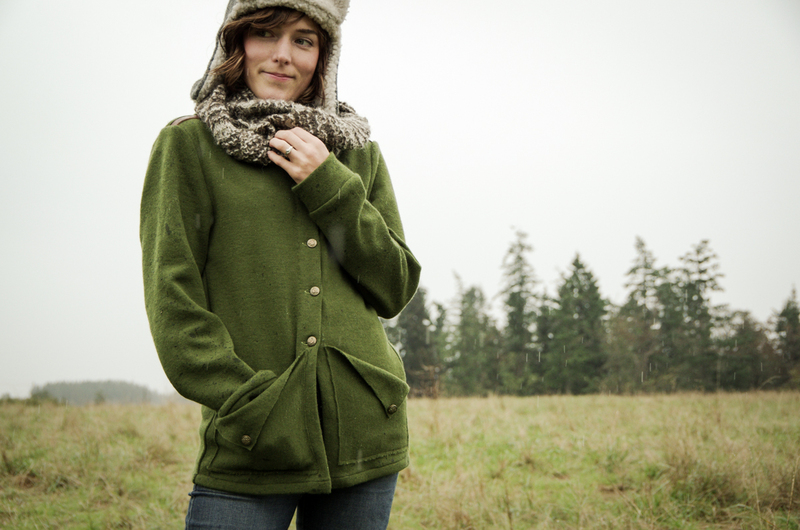 The much anticipated Goldstream Peacoat (which we used to have displayed as ‘Coming Soon’ in our store and is now removed in light of the lessons we have learned regarding announcing things too soon), is still in the works and inches ever closer to being available as a PDF and printed pattern. December 6th marks another hurdle crossed in this process because I will be receiving all the feedback from test-sewers! Over the last three months a top-secret pattern has been designed, developed and tested by an enthusiastic group of sewers. We’ve been busily ordering supplies and designing the packaging for something a little different than your standard sewing pattern which we really look forward to releasing! 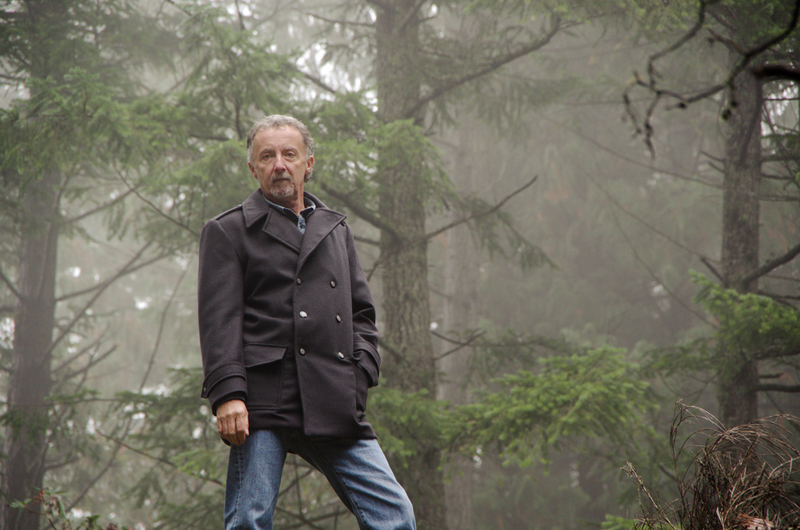 The Goldstream Peacoat Contest through which we collected your tailoring suggestions to create the Encyclopedia Peacoatica, an online resource that is sitting patiently ready for you when you begin sewing your Goldstream Peacoat! The photo gallery of my own version of the Newcastle Cardigan displaying that the pattern can be adapted for the female figure and (the most popular part) announcing the Rainy Day Sale during which the Newcastle pattern was discounted for a couple days. We haven’t hosted a sale since and, as you can see, haven’t done anything for Black Friday due to a discordance between this practice of mass-consumerism and our company values (:P) but, don’t worry, we will be hosting sales in the future once our paper patterns have been released! 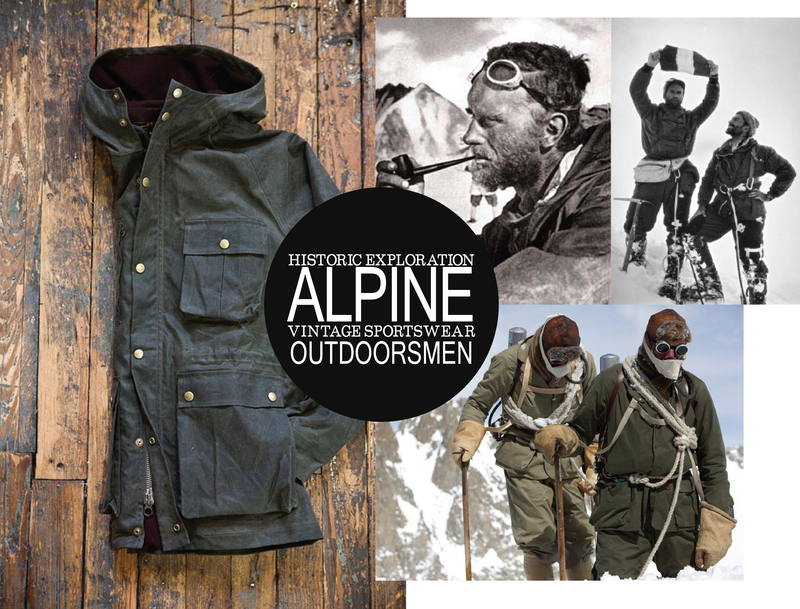 The display of the Alpine Collection inspiration and a call for pattern ideas. I was happily overwhelmed by your response to this post and enjoyed tallying all the comments to discover what items are the most popular amongst our blog readers. Your suggestions have been heard and, indeed, the second garment towards this collection has been designed is currently in the works with our pattern maker, thanks to your comments! In the last three months, Matt and I have had a lot of changes occur in our personal lives. 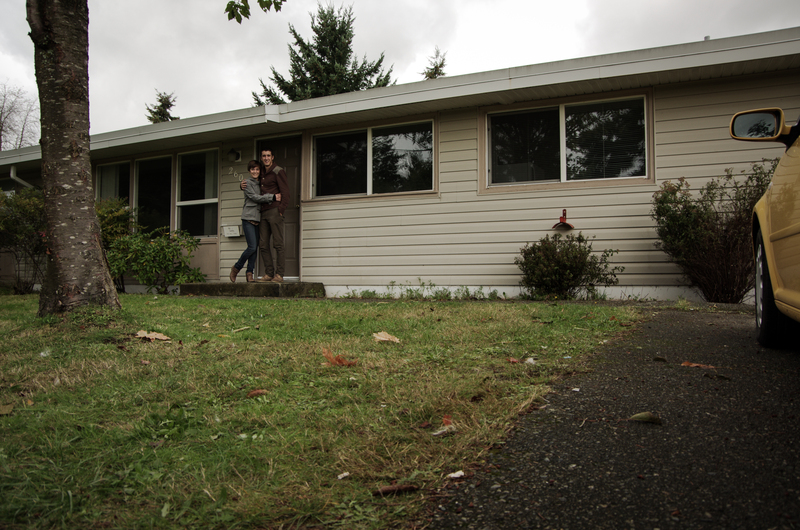 We moved to the Comox Valley from Victoria (for those of you unfamiliar with Vancouver Island, this is three hours north of Victoria and is a much smaller community). We are happy to be in the valley because the move led to many new opportunities. 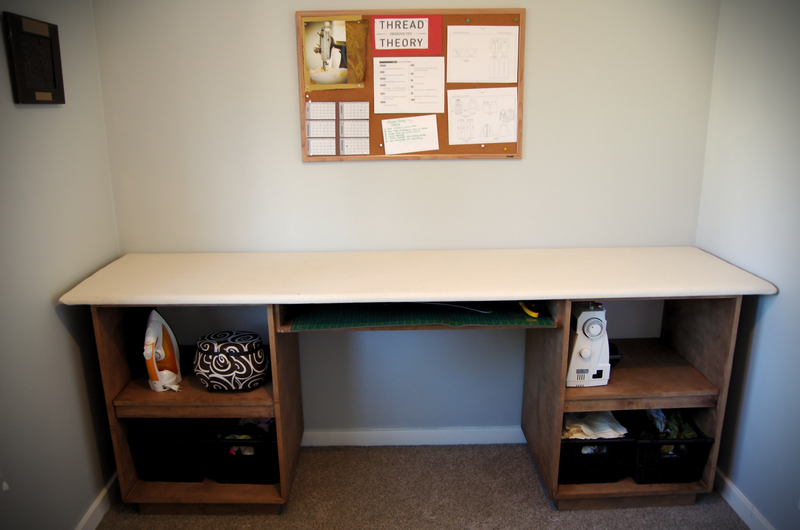 First of all, rent prices are thankfully much lower so we moved into our first house with a yard and enough rooms to have both a sewing studio and an office just for Thread Theory! We have plenty of closet space ready to store and display our paper patterns. We have been working away on projects geared towards creating the perfect Thread Theory sewing studio, including repainting these display closets and making the perfect ironing table. Outside of Thread Theory, Matt has been thrilled to be accepted into the Comox Fire Department and has been busily training with them each week – an experience which he is greatly enjoying so far! I am excited to begin volunteering with the Courtenay Recreation Centre’s sewing program in the new year and, in the meantime, am volunteering with their Art Cards program. Also, I have taken up Zumba for fun since it is great way to loosen up the stiffness caused by sewing 8 hours a day for both work and Thread Theory! Have you tried Zumba? If you get stiff while sewing, how do you combat it? Well, I must say, this quarterly report is MUCH longer than the last and I won’t blame you if you didn’t make it to the end! If you did though, thanks for listening to my reflections regarding the last three months and thank you, everyone, for your continued enthusiasm for our menswear sewing pattern company! We are proud to have made it through the struggles and lessons of the last three months and look forward to seeing the culmination of this hard work in the next quarter! Categories: Friday Posts | Tags: paper patterns, quarterly report | Permalink. Thank you for sharing all of this! I love reading about these kind of things, and also recognise some (like announcing things too soon…) So many leaasond to be learned. Your company seems well run by you two, chapeau! Thanks Lisa! I find the bumbling learning process of starting our own business is both the most terrifying and the most rewarding part of owning our own company! I am excited for paper patterns! Any heads up when they will be ready? I suppose that was covered in the, “EVERYTHING that involves more people than the two of us (think printing, envelope design, shipping etc.) will take longer than we expect” paragraph – I know that feeling from work too. I really enjoy reading these sort of posts, I’ve only just added thread theory to the pattern companies I covert because of the jed pants and I don’t know if I should buy a pdf pattern or wait for all the cute packaging that always accompanies indie patterns – no pressure! I’m not going to succumb to the temptation of giving estimated dates because I don’t want to be overly optimistic yet again! But here is an outline of the process we have left before the paper patterns are available to you: Our packaging is at the printers and should be arriving here late next week, we then send out the patterns to all the stockists who pre-ordered. Shipping takes quite some time as it is expensive and slow to mail to Australia and other far off places so as soon as the patterns have arrived at all the stockist locations we will be able to launch them both on our store and at all the stockist stores! So not too long now! It is our 1 year business anniversary on December 15th so just a little heads up in case you decide to go the PDF route – there might be a PDF sale planned for that day! I really enjoyed reading this – thanks for sharing what you’ve been up to. I discovered your site a few weeks ago and think you two are doing a brilliant job – keep up the good work! Thanks so much for your comment, I’m glad you enjoyed the post! I happily made it to the end of this quarterly report. Your progress has been amazing! Thank you for letting us have a peak into what is involved in an on-line business. I admire the thought you obviously put into each decision and risk you take. Congratulations. I’m so glad I discovered your patterns and can’t wait finish up some current work so I can get stuck in on a few of yours! The aesthetic of the clothes and your brand are so lovely and fresh. I wish you guys the best and keep on truckin’! Thank you! I look forward to seeing what you come up with when you have a chance to tackle our patterns! Sounds like you’ve been busy! You’re doing amazing work. you guys have done great work so far, congrats for your continued success! I want to thank you, Matt and Morgan, for your vulnerability and transparency in sharing this whole process with all of us. You and your company are very inspiring to me, and such an encouragement in this world that is so easy to get lost in. Congratulations on making it this far with your business and getting into your new home! Wishing continued blessings to you both, with love and appreciation. Thank you for your kind comment! We are thrilled to be an inspiration to you as it is nice to pass on encouragement since we have had so many wonderful people encouraging us with our project! Congratulations to you both. Hard work, integrity, family and friends. It just doesn’t get any better! Thank you and I heartily agree!